Description: How cute is this1/3 A standing dog with twinkling clear crystal eyes. 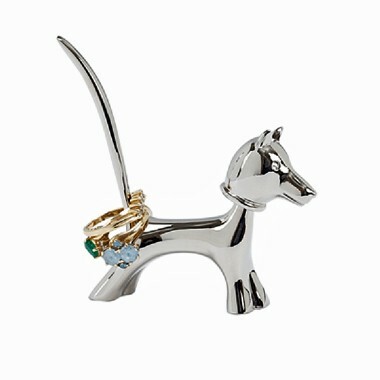 A head that bobbles and a tail that points straight up to hold precious ring! Measures 2.75" tall and 2.75" long. Non-tarnishing finish.